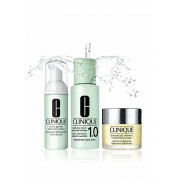 Use the 3 Step System from Clinique twice a day and in 10 days you will see your healthiest skin ever. Formulated especially for very dry to dry combination skin. 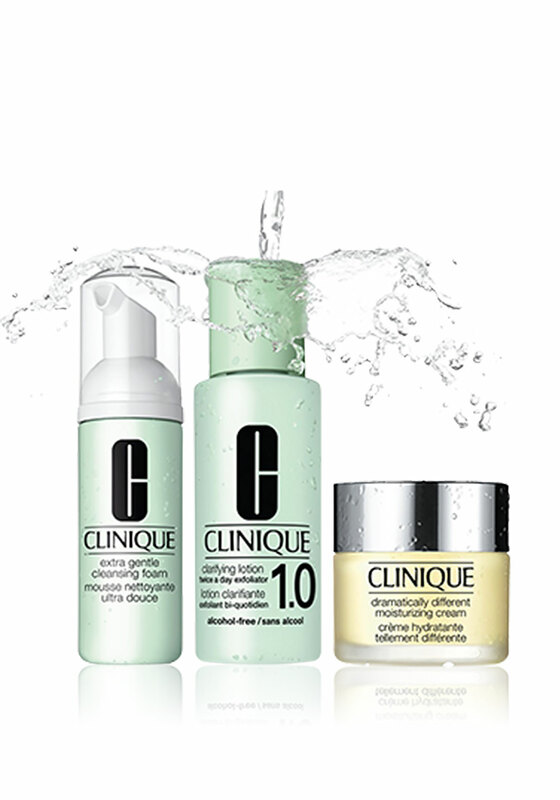 The set contains an Extra Gentle Cleansing Foam, Clarifying Lotion 1.0 Twice a Day Exfoliator and Dramatically Different Moisturising Cream.